At South Division, we strive to prepare our students for college, career, and life. We are grateful for the educational opportunities, unique perspectives and new experiences made possible by our generous community partners. We believe that by working in collaboration with the Milwaukee community, we can build a strong support network for South Division students, motivating them to develop into mature, responsible adults capable of bringing about positive change. South Division High School’s Advanced Placement (AP) courses are demanding and accelerated. These classes are college freshmen-levelcourses. AP courses sharpen students’ analytical thinking skills. By taking the AP Exam at the end of the course, college(s) will be able to recognize that students have learned college level material and deserve college credit. 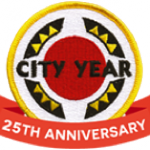 City Year partners with public schools in high-poverty communities to help bridge the gap between what students need and what schools are designed to provide. In doing so, they’re helping students reach their full potential and make it to graduation in communities all across America. 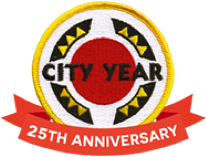 City Year corps members provide one-on-one and small group tutoring to help students stay on track, or get back on track to graduation and life success. College Possible is proud to work with more than 600 students in the Milwaukee metro area of Wisconsin at ten partner high schools, including South Division High School. College Possible students have an average GPA of 2.8, and 95 percent are students of color. 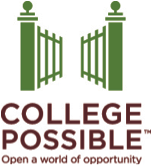 In the 2013-14 program year, College Possible Milwaukee will serve nearly 600 high school juniors and seniors, more than 800 college students and more than 1,500 9th and 10th graders through college prep talks. Through the generous support of local organizations, foundations and individuals, the program continues to grow and expand in Milwaukee area schools. Community Learning Centers (CLCs) are safe, fun places to go before and after school, evenings, weekends, and during the summer. CLCs offer educational, recreational, and social activities for youth and adults. CLC programs increase student achievement and learning, provide alternatives from being home alone, and offer safe havens from unwanted influences. The National Academy Foundation (NAF) Academy of Health Sciences addresses the critical achievement gap in STEM fields by developing a pipeline of students prepared to pursue health-related degrees and professions in one of the fastest growing sectors of the economy. Offered to MPS students, the Pregnant and Parenting Youth Program (PPYP) provides resources and services to students expecting a child or who are already parenting a child. PPYP offers academic, health/wellness and social/emotional supports to ensure students graduate from high school and are ready to pursue college or a career. To prepare South Division students for active participation in their communities, each student is required to complete a service learning project or participate in community service as a graduation requirement. The South Division High School School-to-Work Transition Program is comprised of three separate, but highly related programs devoted to the development of federally mandated employment readiness for our students with special needs: Community Assessment Training Program (CATP), On the Job Training/Education (OJT/E), and Employment Training Program (ETP). The Cardinal Violence Free Zone (VFZ) youth advisors work within South to build relationships with students. These youth advisors are mature young adults who are from the same neighborhoods as students in the school. These youth advisors are able to gain the trust and respect of the students they work with because they have faced and overcame challenges as our youth. The VFZ youth advisors server as mentors, conflict resolvers, and positive role models in and outside of school.